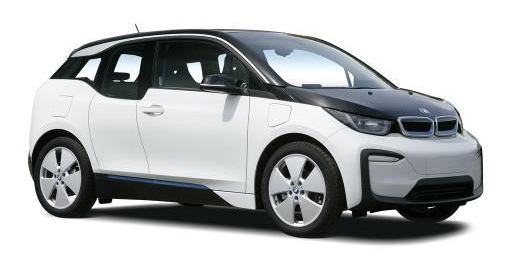 BMW’s i3 Hatchback proves that going electric doesn’t mean giving up on power or performance. This stand-out hatchback goes from 0 – 62mph in just 7.3 seconds and combines excellent, near-future styling with sustainable production and outstanding engineering that means you’ll still be able to leave more powerful vehicles behind at the lights – without emitting any pollutants when you do. The entire i3 hatchback has been designed with electrifying driving dynamics and agility in mind, along with a fully sustainable outlook from design, to production and, of course, driving. The electric drivetrain BMW eDrive was developed by BMW and is exceptionally responsive, quiet, capable and surprisingly urgent, providing an electrifying ride as promised in the brochure. The turning circle makes the i3 notably easy to park and the regenerative braking allows kinetic energy to be harvested and slows the vehicle simply by removing your foot from the accelerator. Like BMW’s other models, the i3 offers a range of driving modes to optimise comfort and performance on any road surface. Comfort mode will support everyday driving conditions for a regular commute or running about town with a range of up to 125 miles, while ECO PRO and ECO PRO+ will increase the potential of your ride.